A great apartment with a brilliant location for quick and easy access to the beach and all the main sights. 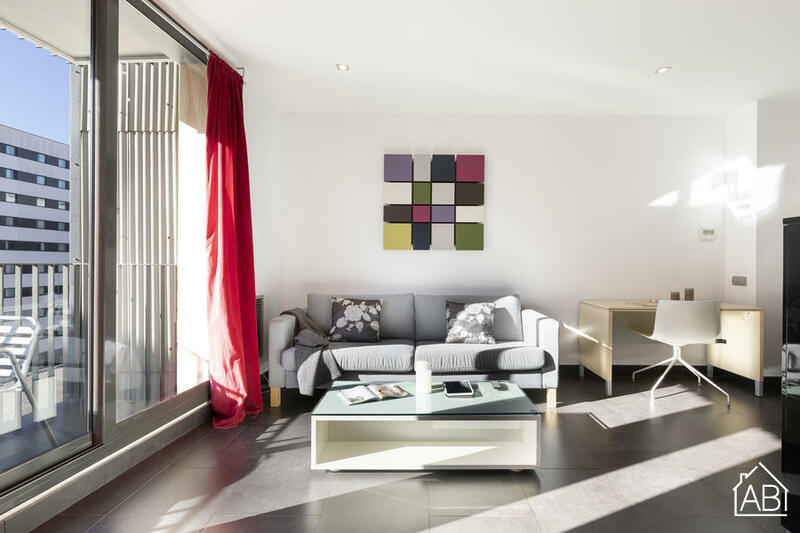 This stylish, modern apartment is located within walking distance to Barcelona´s fantastic beaches and is great place to call home during your stay in the city. Located in the Poble Nou area there are many cafés and places to eat in the area and the exciting beach front restaurants and bars are just a short distance away. The apartment has one good sized bedroom and can accommodate up to four people. There is a fully equipped kitchen allowing you to cook your own meals and a comfortable living area. The apartment come with all mod cons such as Internet ensuring that home from home experience. There is also a lovely balcony allowing you to make the most of the wonderful Mediterranean weather.